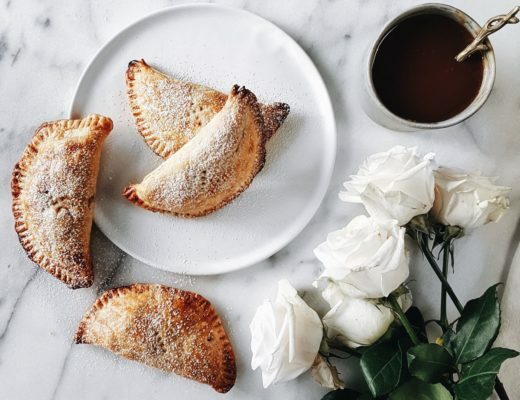 We love a small little treat with our coffee or tea in the morning. Just a little something to add some sweetness to our morning routines as we prepare for the workday. Many times, I’ve been the beneficiary of Jane’s biscotti making skills. Other times, it’s her cookies. Lately, I’ve been on a shortbread kick and I felt it was the perfect way for me to bring something to the table. 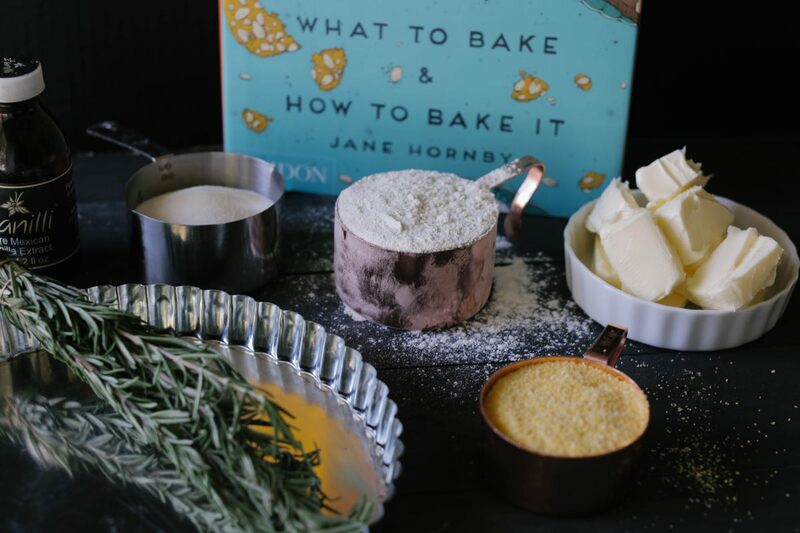 Enter Jane Hornby’s What To Bake & How To Bake It. The photos and instructions provided for her shortbread recipe were the perfect helping hand. Some of our favorite cookbooks come from Phaidon. They’re always so beautifully published with amazing illustrations and photography that match the all thoughtful recipes and stories. They’re as decorative as useful and seem just at home on the coffee table as they do in the kitchen. 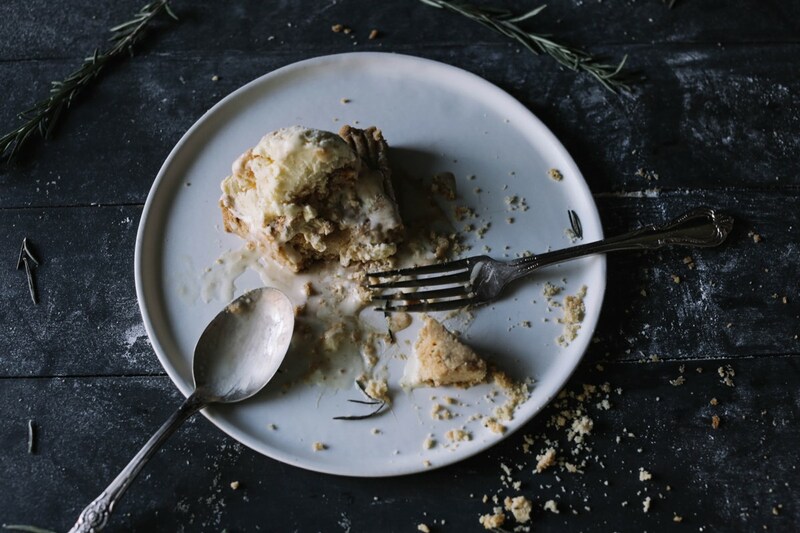 Jane Hornby’s are no exception and provide some of the best step by step recipes with photos to guide as you can find. It’s great to have a visual reference when it comes to color of properly creamed butter or the preventative look of over-whisked egg whites. Such guidance has come in very handy for a guy that doesn’t always get it right when it comes to baking. After a few rounds of working with her recipe, I decided to add a few other flavor textural options. I’ve always liked the fragrance rosemary can bring to a baked sweet (something referenced in her recipe). I also love the crunch a little cornmeal can add to a cookie or cracker. 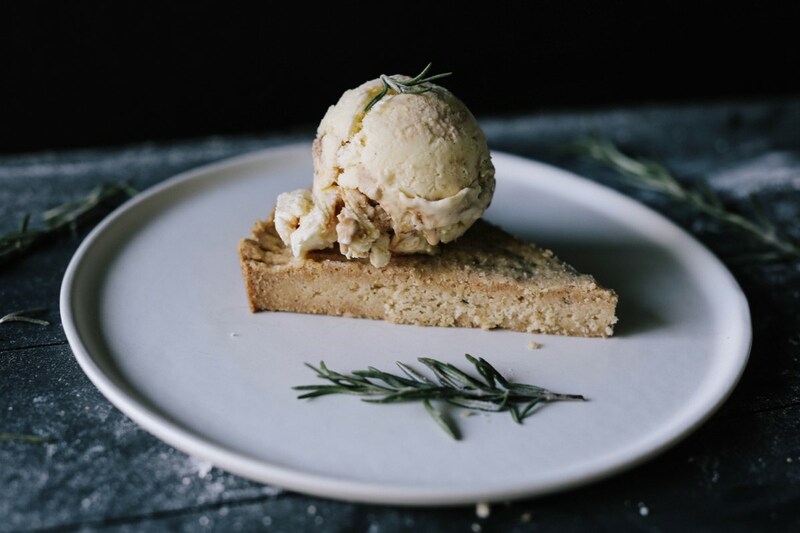 We had just made the Vanilla Bean Ice Cream with Dulce de Leche and Salted Pecans recipe we posted previously and I felt that combination of a rosemary cornmeal shortbread with the ice cream would be a crowd pleaser. It was, and the shortbread was amazing with our coffee and tea the next morning. Use a little bit of the softened butter to prepare the tart dish and drop the rest in a large mixing bowl. Using a hand mixer, blend the butter until it becomes creamy and pale. Add sugar, salt, and vanilla, and blend again until it’s almost white. Over the top of the creamed butter mix, add the cornmeal, rosemary and sifted flour. Carefully fold in the dry ingredients until you have a well-blended crumbly dough. Don’t overwork or mix. This will affect the final result of the shortbread. I folded just enough to make sure there wasn’t any dusty or powdery flour collections at the bottom of the bowl. 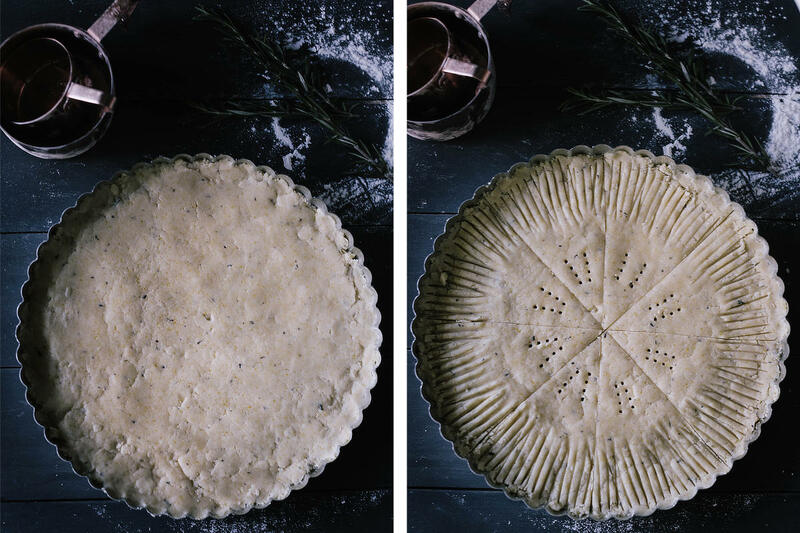 Evenly distribute the dough around the prepared pan a bit at a time using your fingertips and the back of a spoon to smooth it out. 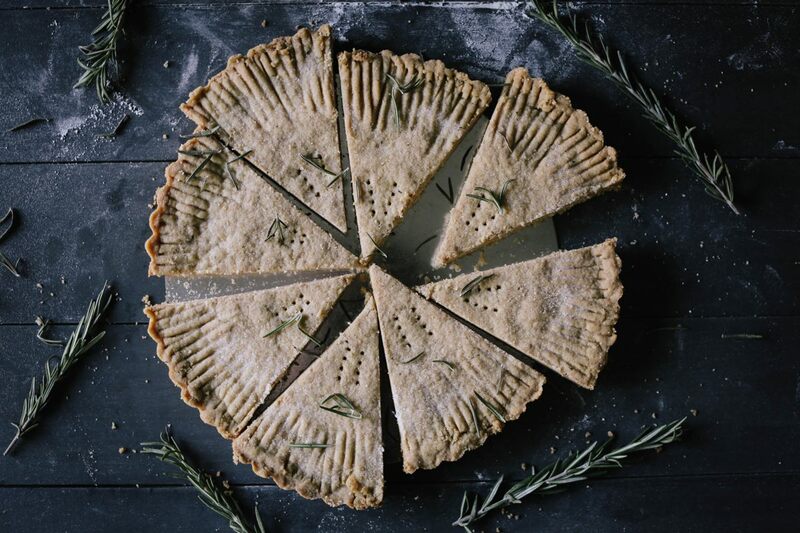 Use a fork to mark the edges if you would like to decorate the shortbread as shown on this page, and then cut into wedges using a sharp knife. Poke holes using the same fork in each wedge. Cover with plastic wrap and chill in the refrigerator for about 20 minutes. Remove the shortbread from the fridge and dust with a bit of sugar. I prefer to do this before rather than after so it will melt a bit more. Place in the preheated oven to bake for 1 hour, 15 minutes. The book lists 1 hour, 10 minutes but our oven needed just a little bit more. When the shortbread is ready, remove from the oven and allow to rest on a cooling rack for 5 minutes in the pan. Once rested, remark the edges and slices. Cool in pan for another 10-15 minutes and then it’s ready to serve. Great recipe! Just made it. Just FYI 1 hour 15 was a bit too long for my oven it was golden brown and perfect at 1 hour so I guess each oven is different, still delicious!